Welcome to this gorgeous California bungalow in the heart of Eagle Rock, beautifully re-designed and modernized by its current owner. The 3 bed, 2 bath home has been newly outfitted with a custom kitchen with farm house sink and high-end appliances, and designer baths. 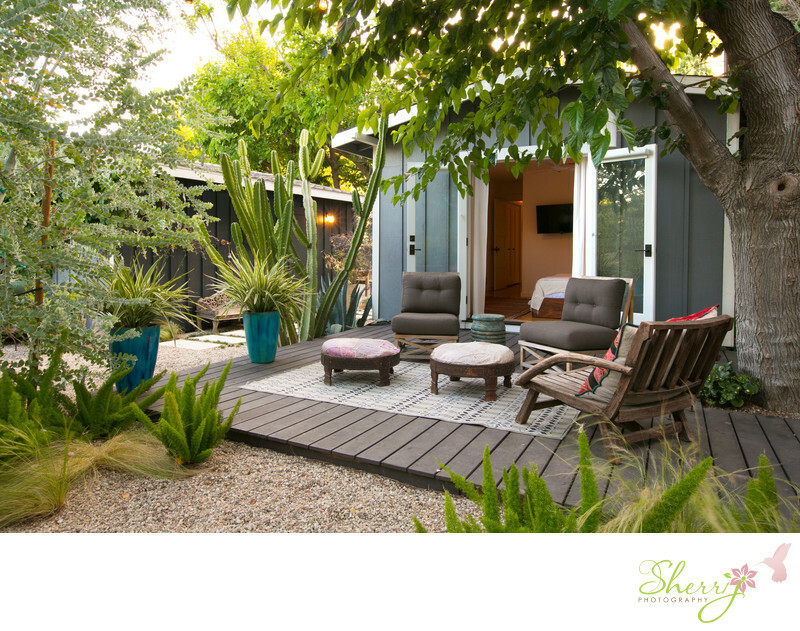 The tranquil Master suite opens to a magical garden with deck, patio, multiple seating areas, fire pit, herb garden and fruit trees. Enjoy dining alfresco under a canopy of trees, behind the gated driveway. The detached 2 -car garage is ideal for a separate office or studio space. Located on a tranquil cul-de sac and a short stroll to Colorado Blvd. shops and restaurants. This is the ultimate Eagle Rock compound, featuring a sophisticated level of finish rarely offered at this price point. Interiors by Liza Reyes. Gardens and outdoor design by Becky Bourdeau of POTTED. Come and be inspired. Location: 4984 Vincent Ave, Los Angeles, CA 90041.